Guess who's heading for Strictly 2010? Guess who’s heading for Strictly 2010? 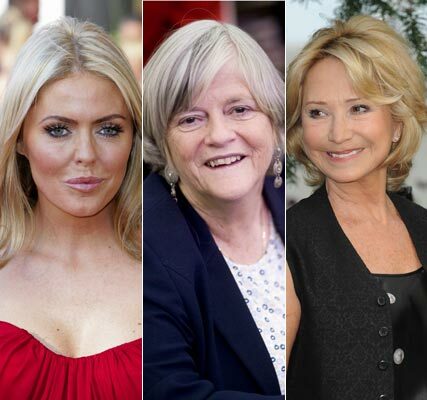 Could Gavin Henson, Patsy Kensit, Ann Widdecombe and Felicity Kendal be waltzing their way into this year’s Strictly Come Dancing line-up? A source has revealed to the Press Association that the eclectic foursome have all signed up for the all-dancing talent show, which is due to return to screens this September. Ms Widdecombe, the 62-year-old former Conservative minister, was approached to join the show last year, but turned down the offer, saying she’d reconsider once she had retired. The BBC is yet to confirm any of this year’s contestants, but has revealed that the number of stars will be cut from the regular sixteen to fourteen. STRICTLY 2009: LOOK BACK AT ALL THE PICS HERE!